I hope you had a nice long weekend and your short week is going well. We spent our labour day with good friends in cottage country enjoying lake swims, canoe races, pancakes and drinking spicy Caesars (that’s a Canadian Bloody Mary). It was the perfect way to close out the season! Now that we’ve given summer a proper send off I’m excited to share my fall wish list! Over the past couple of years I’ve found wish lists to be so useful for keeping my shopping in check and my personal style streamlined. In fact, they’re probably the #1 tool I suggest for those who would like to begin shopping more intentionally. 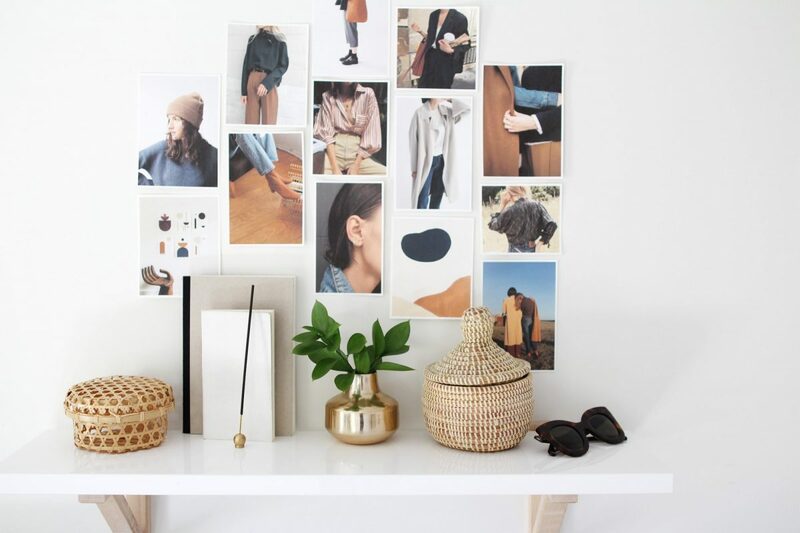 When I look back at previous wish lists I see just how many of those items are now heroes in my wardrobe and this has shown how a little forethought can lead to much more efficiency and usefulness, especially when it comes to something as malleable as our closets. 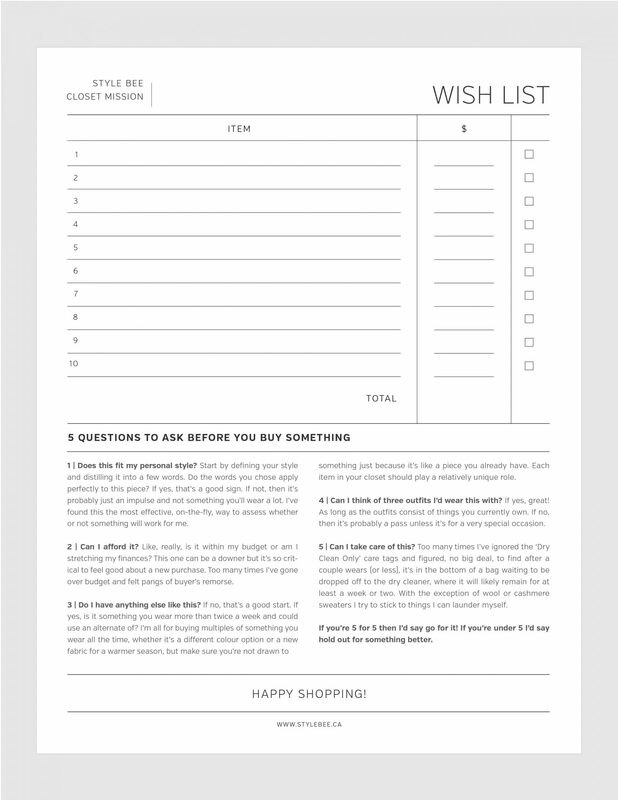 Let’s dig in and hopefully you’ll be encouraged to give your own wish list a try! 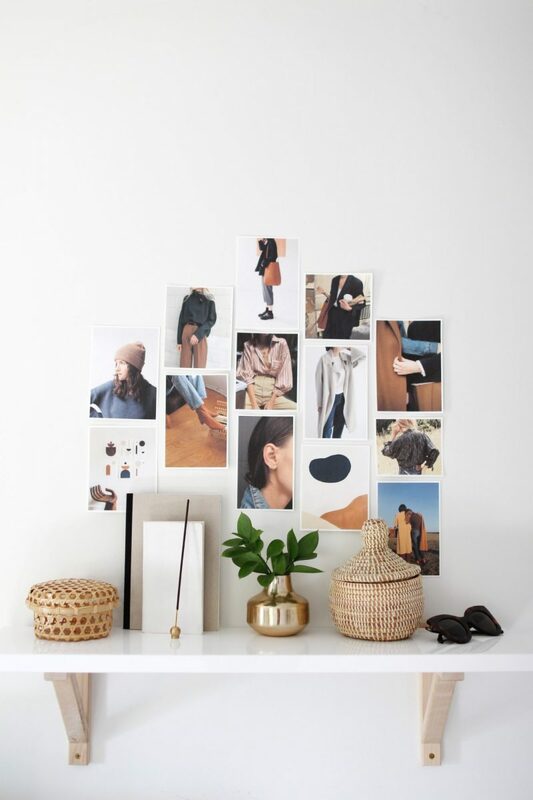 You’ll notice in the photo above (and those to follow) that this season my wish list is more of a mood board that’s less about the exact pieces I want more about the style concept I have in mind. I’ve begun approaching a new season with a big picture vision rather than just specific items I’d like to add. This helps me keep a better sense of my style overall and avoid adding outlier items that won’t work within the broader scheme of my closet. MENSWEAR | Oversize blazers and shirts, trousers, relaxed fitting denim, long wool coats and functional leather accessories (think belts, totes and ankle boots). As time goes on I finding that as much as I love loose-fitting pieces I’m also drawn to thoughtful tailoring that adds structure without restriction. I always look to the original adopters of this trend like Diane Keaton and Katherine Hepburn to see how menswear can be incorporated into my closet in a way that’s elegant and refined. RICH NEUTRALS | Tobacco, Umber, Forest Green, Olive, Navy and Brick. Just to name a few. Black and white tones (like cream and ivory) take up the vast majority of my closet but in the colder months I love wearing rich, earthy tones that can be mixed and matched with lots of classic neutrals like grey, black, white and denim to add warmth and interest. FEMININE ACCENTS | Dainty earrings, painted nails, defined waists, wide sleeves, layered necklaces and fabrics with lots of movement. Some of my favourite pieces to wear this summer were surprisingly feminine like my ditsy floral dress, wrap top, statement earrings, tencel jumpers and block heel sandals. I love being able to add small doses of femininity to my otherwise clean and subdued style. CLASSIC PRINTS + TEXTURES | Stripes, ditsy florals, marled wool, pebbled leather, houndstooth, ivory cashmere, muted plaid, vintage denim and cotton canvas. I don’t seem to wear a ton of prints or patterns in outfit post but I quite like wearing them in real life. I can’t wait to bring out my striped tees, vintage houndstooth coat, my plaid boyfriend blazer and lots of wool and cashmere pieces once the temperatures dip! Now onto the wish list! 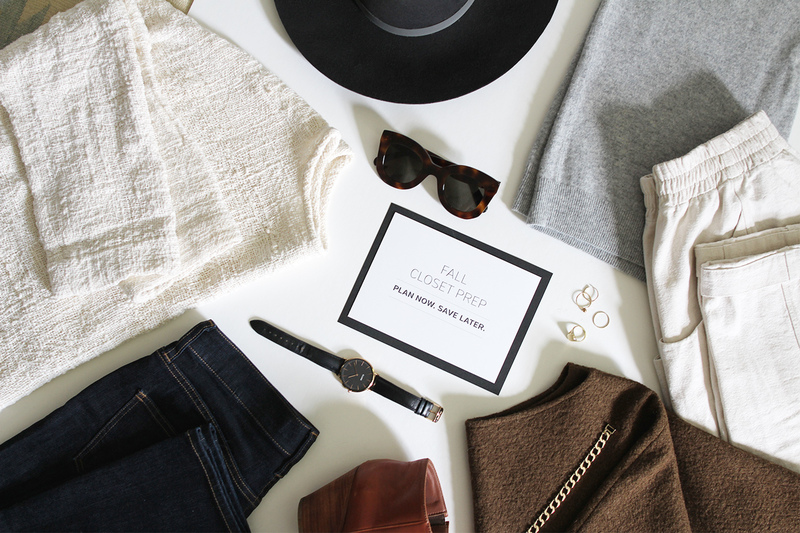 This list might seem a little bit predictable but the truth is that I’m currently quite content my closet and style. I don’t feel the need to make any significant shifts or add anything particularly game-changing, which I think is a pretty good sign! You’ll recognize a few of these items from recent posts because I’ve already begun the acquisition process but they were all on the list long before I decided to add any items through collaborations or personal purchases. So here’s what I’ve been thinking about! 1 | TOBACCO KNIT BEANIE | I personally cannot have too many knit beanies and a good one makes all the difference. My ears are very sensitive to cold (thanks to a childhood of ear infections) so even when it’s only slightly chilly I end up needing something to protect my ears from the wind. I’ve wanted to add a camel or tobacco colour since last year and adore the fine gauge knit from Bare Knitwear (the new collection is all amazing!). 2 | UMBER TROUSER | I have been on the lookout for a great pant in an earthy, umber tone for a couple of Fall seasons now and I’m so glad I got to try the Jamie and the Jones Wide Leg Pant. It has fit the bill perfectly and I’ve barely taken them off over the last couple of weeks! 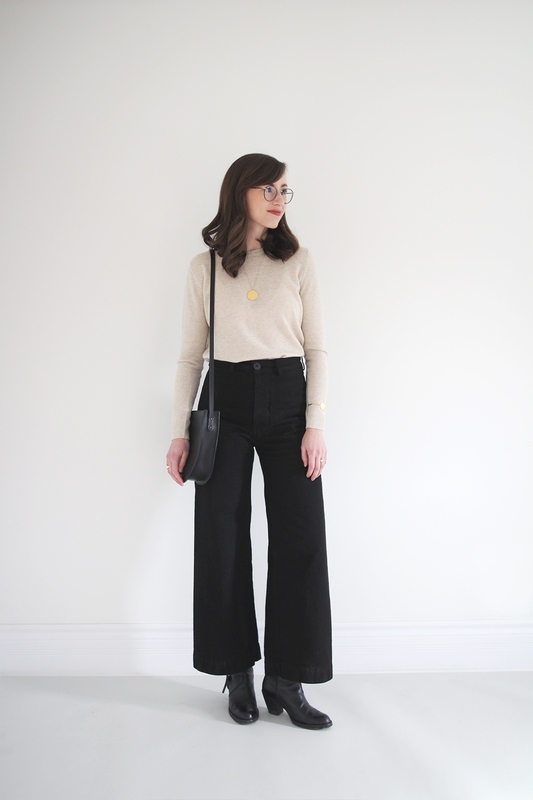 You can see how I’ve styled my Wide Leg Pants right here. Save 15% off all raw silk items at Jamie + The Jones with ‘StyleBee15’. Valid through September 12th. 3 | GLOVE ANKLE BOOT | I wore the heck out of my Coclico glove boots last winter (they’re currently at the cobbler on life support after an unfortunately incident) so I knew I wanted to supplement my selection for this year. I had heard great things about Aquatalia boots and decided to take the plunge during the Nordstrom Anniversary sale. So far I am very happy with the Carrie Boot in Chocolate. They are incredibly well made and the fact that they’re weather proof means I can finally embrace my love of suede without the constant fear of ruining them! 4 | SECOND EAR PIERCING | So not exactly an item but I’ve added this to my wish list anyway. I used to have lots of ear piercings but let them fill in during college. I’m pretty sure I can muster up the nerve to get a second piercing on my ears sometime soon! I just love the look of dainty gold studs dotting the ear when paired with cozy sweaters or boyfriend blazers. 5 | STRIPED BUTTON-DOWN | I fell in love with the idea of an oversized striped silk shirt and couldn’t quite shake it after eyeing them for ages on Pinterest, like this one, this one, and this one! 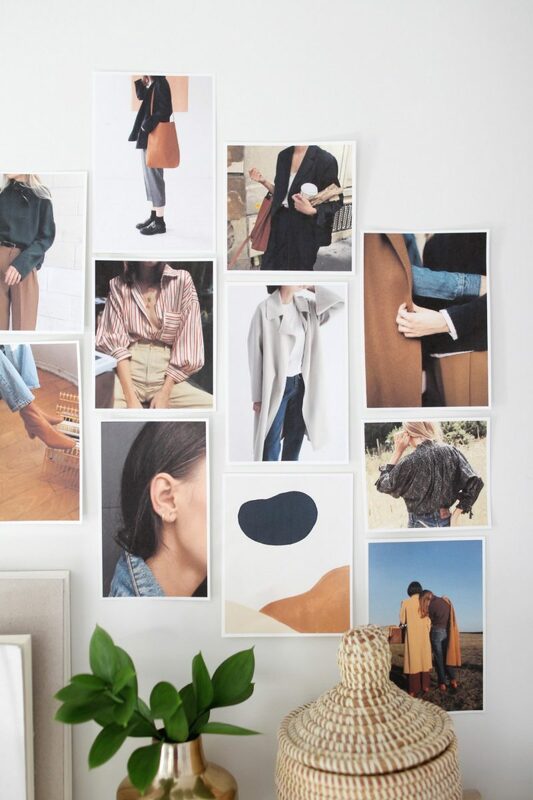 When I had a chance to try the latest offering from Everlane, I took it! So far it’s been a delight to wear and I’m so glad I decided to add it. I’m also looking forward to wearing it under sweaters and cardigans once the temperature allows. You can see three ways I’ve styled it so far right here. 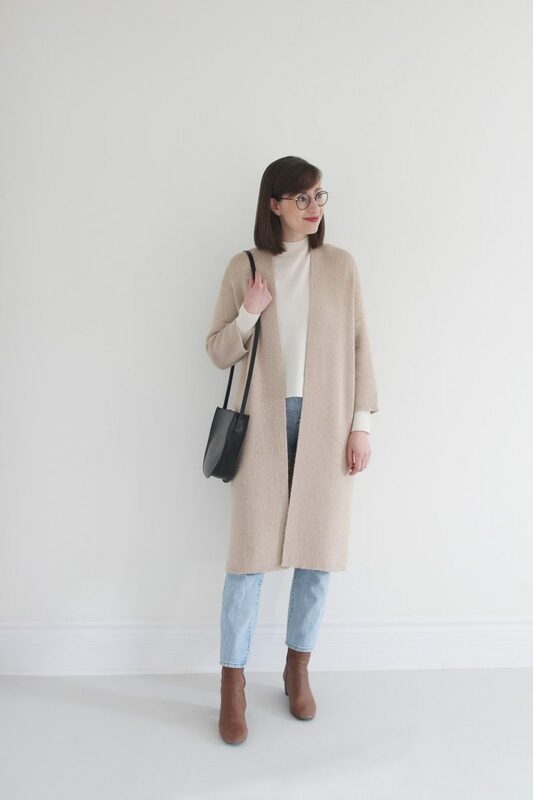 6 | MIDWEIGHT WOOL COAT IN A LIGHT COLOUR | I’d love a light grey, flax or oatmeal wool coat to brighten up some of my darker fall pieces. 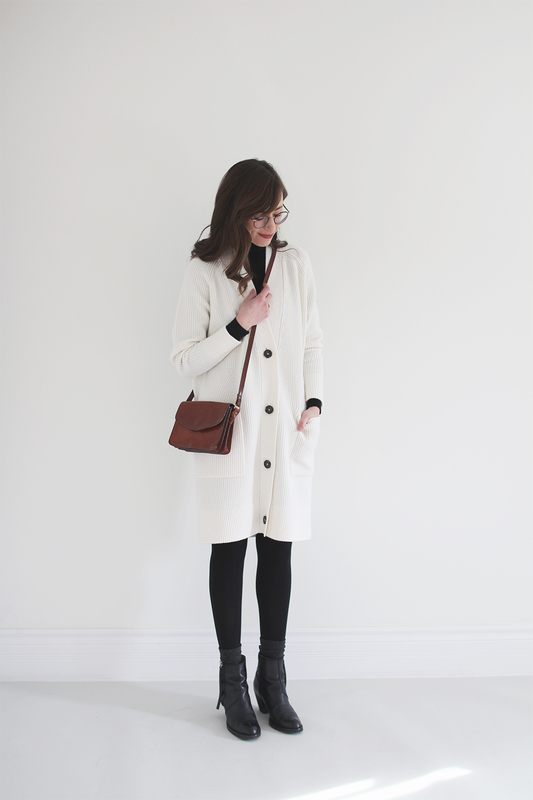 Of course, my friend Haley, founder of Only Child, has got me drooling over the new Cardiff Trench! 7 | DITSY FLORAL BLOUSE | As I mentioned above, I really enjoyed wearing my ditsy floral dress this summer and was surprised by how natural I felt in such a feminine print. I’ve got my eye out for a top in a similar print and it looks like DÔEN is really delivering on the vintage florals these days! 8 | LAPTOP FRIENDLY TOTE | I’ve been on the lookout for a good leather tote that is big enough for my 15 inch laptop with a zipper (or closure) and a simple form factor. 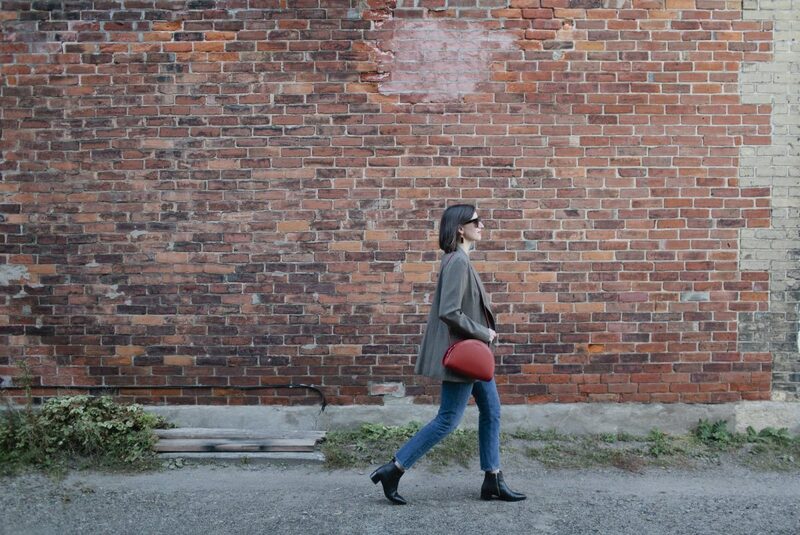 I love the Mindy from Opelle and always find their bags to be incredibly well made and functional. And that’s it! Now let’s look at how you can create your own wish list. Before you create your wish list consider Defining Your Personal Style or identifying some Shopping Triggers if you’re not already familiar with either of those. This will be a much better place to start than simply listing all the things you think you want or need. In fact, not knowing what you need or having a clear sense of what your style is can be a major catalyst for impulse shopping and overspending. Take my word for it! Keep your list to 10 items or less, which sounds easier than it is. You can certainly start with many more but once you’ve got everything listed, start eliminating items by using the 5 questions below. Try to whittle it down to 10 or less. If you change your mind, that’s cool! Nothing is set in stone and you can switch things up any time. Don’t settle! This is a wish list right? So don’t sell your dreams short by under cutting what you really want. If it means you can only put 3 expensive things on the list that’s better than putting 6 things that aren’t what you 100% love. Run the numbers. If you were to actually buy everything on the list, what would that set you back? I always find this step to be a bit of a wake-up call, which isn’t a bad thing. 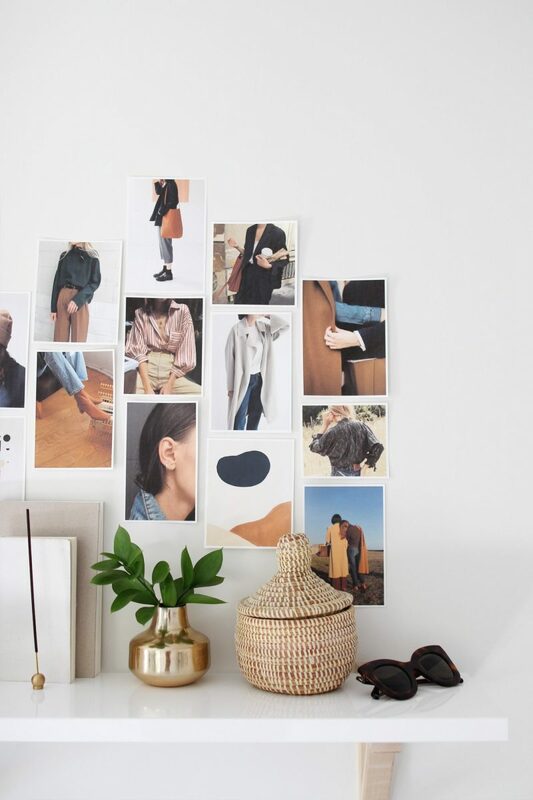 If you’re interested, take a look at what’s involved in each step and how 1 measly hour of planning can positively impact your style, budget and closet contentment for an entire season! PLUS, there’s a quick and easy worksheet to help you do it. SO THAT’S MY FALL WISH LIST BUT I’D LOVE TO KNOW WHAT’S ON YOURS! HAVE YOU PICKED UP ANYTHING FOR THE SEASON AHEAD YET? I’d love to see more outfits that incorporate prints on the blog, especially printed tops! When I initially redefined my style/closet last summer printed items were some of the first to go. But I’m finding that my wardrobe feels a little too blah without them and would love to see how you’d style them as well as some ethically made options. Would love to see what you end up finding/getting in terms of laptop bag!! I’ve been struggling to find a laptop bag for my 15″ mac that has a zipper and looks good. Would love the wool Cardiff trench from Only Child… but I live in LA and I can’t justify getting another coat in a city where winter doesn’t get very cold 🙁 I ended up getting the new Cove pants and Dune pants in cotton though! I made my list for this Fall at the end of winter last year while it was fresh. 2 of those items I just purchased..Jamie + Jones (using your code) tee in emerald and a pair of Sevilla Smith booties. I appreciate all the tools you lay out here! I have a pretty good sense of my style and what I need, but it always is nice to come from it from a different direction to check myself. One challenge I have is that my style is very different from yours and a few other bloggers I read. I really need to be thoughtful what I take away from your style and pick and choose what pushes me a bit while still staying in the parameters of my style. I have picked up wide leg pants and the Georgia tee, which I both love! I have a list this year for fall/ winter since I do my closet in two “capsules” that way since our seasons vary so much! Every autumn I want to wear fall clothes and always end up being hot and ridiculous on the days that it’s still warm so this year I got 3 autumnal hue t shirts: mustard, rust/ umber and ivory with hunter green stripes! I’ve added a charcoal marled button up cardigan, light gray with embroidered polka dot blouse and my husband just got me an early birthday gift of the camel colored J Crew cocoon coat! I’ve had the gray for 6 years and it’s still in immaculate condition! Love these kind of posts! I am pretty happy with my closet too, trying to keep it more lean like I used to! Another 15″ laptop lover! I have a huge business-y laptop tote, but I’m starting MBA classes (today, actually) and would like to get something more refined. 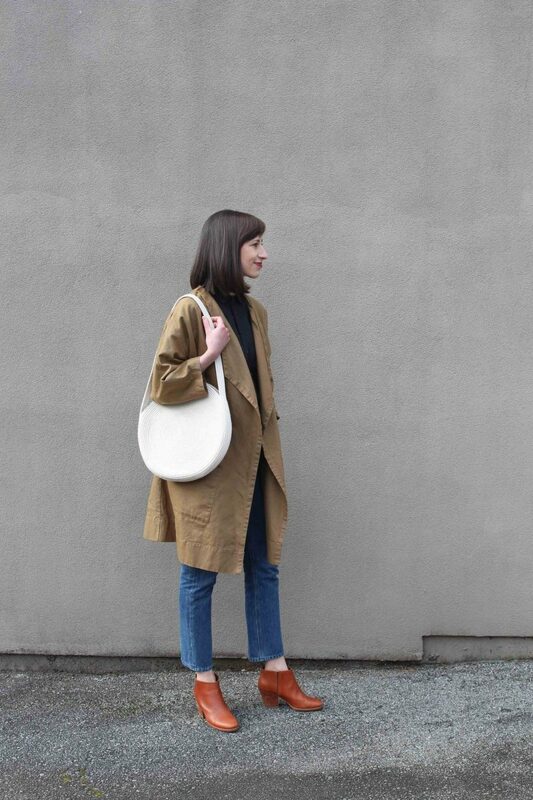 I’m very drawn to the new tall structured tote from Cuyana, but there’s no top closure. It is SO difficult to find something to accommodate my large screen, everything is designed to hold a 13″ or smaller. I’d be worried with that Opelle bag that while the width of the actual bag is large enough, it wouldn’t fit nicely past the zipper, which tends to be shorter than the bag’s actual width. Now that I’m thinking about this, I would really value a post on it. Work totes/utility bags that are functional and look nice. Pulling together some suggestions of bags that will fit: lunch, a sweater, notebooks, laptop, toiletries, water bottle, etc. Just a thought, because I know the struggle is real for a lot of us! Yes! I’m looking to finally get myself a nice work bag, but so much of what is out there is just totes with no internal pockets or closures. I need a zip closure and a few internal pockets, and would really prefer a more “briefcase/messenger bag” style, but so far I haven’t found anything that has called out to me. Great post, Lee! I love the Closet Mission posts! I actually have an unusually large fall wish list of 7 items and I don’t know if I’ll get all of them. Haven’t purchased anything yet. At the top of the list is charcoal knit boyfriend blazer and a red cotton sweater. I also want a grey knit dress to replace one that has styling details that I’m not happy with. I also have my eye on an oatmeal tweed cardigan in a cotton/silk blend and an indigo pullover with kimono sleeves in a cotton/cashmere blend. And lastly a grey, long-sleeved shirttail tee. Like you, I find myself drawn to menswear and loose, roomy pieces these days. I look forward to seeing your fall outfits. I would also recommend looking at Able for the leather tote. I got the Alem this summer that fits my laptop, zips closed and I adore it! Thanks for the suggestion Amanda! I love my Tirhas bag from them so I’ll give the Alem a closer look for sure. Here is a link to it for anyone who’s interested.